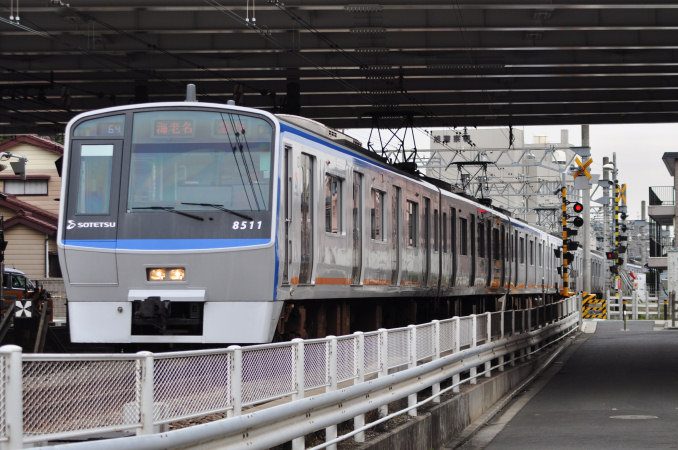 The 8000 Series is a four-door commuter-type electric multiple unit designed by Sotetsu to replace the aging 6000 Series trains. 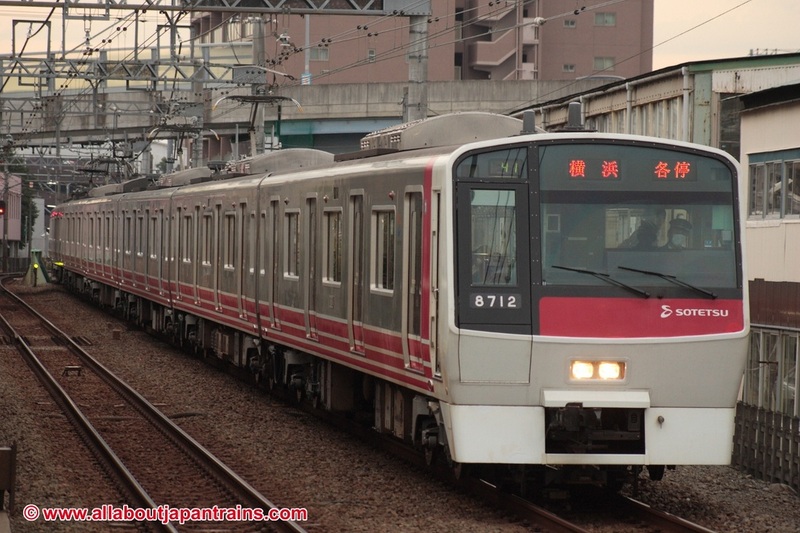 By the late 1980s, the 6000 Series trains that were mass produced during the 1960s and 70s were begining to show their age mechanically and also in their interiors. Sotetetsu decided to produce an entirely new design that would revamp Sotetsu's image, but also stick to many of their traditions. The outer-body design is completely different compared to previous designs and includes a modern-looking asymetrical face on the end car. However, traditional design features such as disk brakes mounted on the outerside of the bogies. Like the previous New 7000 Series, the 8000 Series uses a variable frequency drive with GTO thyristor elements. 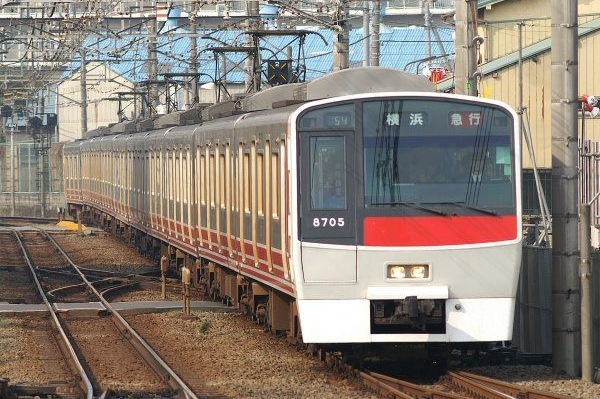 The complex Hitachi-style electromagnetic straight air brakes used on the 7000 Series were abandoned in favor of a more orthodox electric commanding brake system. Seating inside is mostly length-wise bench seating, but five and eight have cross-wise box seating as well. Note that car one faces Yokohama while car ten faces Shonandai.